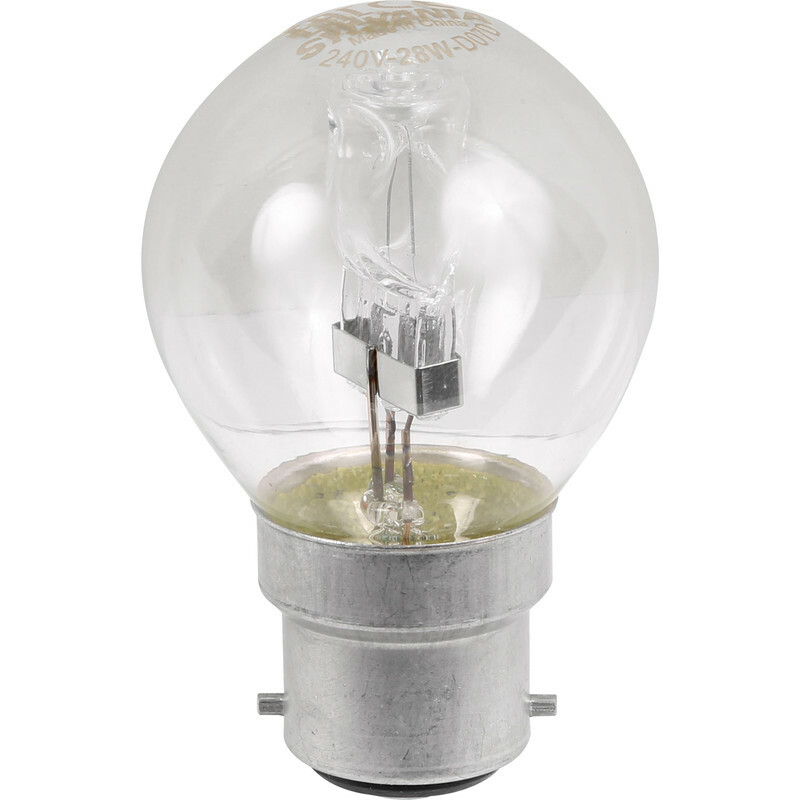 Sylvania Energy Saving Halogen Ball Lamp 42W BC (B22d) 625lm is rated 4.2 out of 5 by 13. Rated 5 out of 5 by Catman12 from IDEAL FOR THE PURPOSE AND VERY NEAT PURCHASED THESE BULBS TO REPLACE PREVIOUS ONES THAT LASTED A GOOD TWELVE MONTHS WITH CONSTANT USE. EXCELLENT VALUE FOR MONEY. Rated 5 out of 5 by Anonymous from Lo energy bulbs Good price for branded bulbs. Rated 5 out of 5 by cornish wench from Great Lantern I bought 3 of these, they look good, were easy to install and give a bright light. Rated 5 out of 5 by Eric da Devonshire Viking from Worked ! very cheap Helpful staff made sure that it was the right size fitting and the right wattage. Rated 5 out of 5 by Paul37 from Good product Brought these as they were of good quality and cheaper than buying from our usual superstore we shop at.